Do you need lock repair service? By any chance, are you locked out of home, right now? If you need any kind of emergency locksmith service, you’ve arrived to the right place. We offer all types of emergency locksmith services in Easton, PA. In fact, we cover the entire Lehigh Valley. 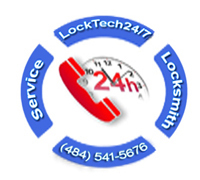 LockTech24/7 offers wide emergency locksmith services for Easton residents at affordable price. Whether you’re locked out or need an emergency rekey service to your residential locks, or commercial locks, we’re here to help, at LockTech24/7 Easton PA. The time to call a local locksmith is before you have an emergency situation – and before it comes to crisis! LockTech24/7 has provided Easton PA with both 24/7 hour emergency locksmith service and proactive locksmith service for a long time. Call us now for your emergency locksmith needs, whether for car, home, or business. Whatever is your locksmith service in needs, we can help. If you need a quick lockout assistance or to remove a broken key out of your cylinder lock. LockTech24/7 offers you a wide selection of high quality emergency lock and key situations and fast solution. Our experienced team of mobile locksmiths available anytime you need us – seven days a week, 24 hours a day. We’re ready to come out for a wide range of mobile locksmith services so that no matter what you require, you can count on us to provide you fast, quality, and reliable locksmith service. Our technicians are well trained and carry the necessary tools to handle all types of emergency lock problems and emergency situations. Did you know if you gets locked out of your vehicle, you probably have roadside assistance on your insurance policy, and your insurance company will cover the cost, and will send you check back in the mail within 7-10 days? Did you know that LockTech24/7 can open any car and model and any size? We cover all emergency automotive locksmith services in Easton, Allentown, and Bethlehem, PA.
Don’t hesitate to call LockTech24/7 at (484) 541-5676 for every lock out service, and we will come to open your time within 20 minutes. In short time, we will get you back on the road free to go on your day. In addition to fast auto lockout services, we can also replace your lost car key, as well as repair your ignition lock cylinder. A lost car key is a problem for many people in the community of Easton, PA. Many people are losing their car key and need a new transponder key replacement for their vehicle. LockTech24/7 in Easton, Pennsylvania provide 24 hour emergency car key services for almost all cars and models. When you need automotive key service, don’t hesitate to Call LockTech24/7. We have all the tools and equipments that necessary to cut and program your vehicle key, including high security, laser cut key..
You just got out of your home to pickup the mail. When you returned home, you found that your door have been locked behind you, and you’re locked out now, even worse, you have an important meeting one more hour. LockTech24/7 happy to announce that emergency home lockout service is here for your assistance twenty four hour a day, seven days a week, usually within 20 minutes response time! Count on LockTech24/7 in Easton, every time you need to unlock your home, bedroom, shed, or anything else in your house. When you have a locked door in your business and you don’t know where to find the key, LockTech24/7 is the company to call in Easton, PA.
At LockTech24/7, we perform lock out service for offices, retail stores, and industrial properties. Our locksmiths specialize in opening, repairing and replacing all commercial locks, whether mortise, rim, or commercial entry lever. In short, we are specialize in any emergency business lock out situations. Worn locks and keys can cause the key to break inside the lock. LockTech24/7 can extract your key and make a new key to work in your lock, or provide you with a brand new lock and key. Old locks are often to break or stop working properly. Here at LockTech24/7, we can repair any broken lock or replace it with a new lock. f you’re having any trouble unlocking your door, call LockTech24/7 in Easton PA for help! Our skilled technicians will come out with fully equipped mobile locksmith shop to repair any lock in no time.